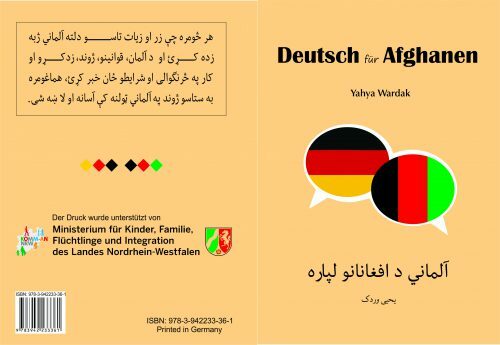 German Language for Afghans – AFGHANIC e.V. This booklet provides some basic information about German language, Germany, and living in the country. The information is for Afghans who have recently migrated from Afghanistan to Germany. “German for Afghans” is one of the first keys to learning German language. Learning language of the host country is the first requisite of all the next steps ahead. Communicating with the people and getting access to training and education is not possible without knowing the language. Language is a significant requirement for finding a good, interesting job and having a bright future. German is either the mother tongue or second language of 130 million people. It is spoken the most in Europe and is an official language of seven countries. Germany is a big, advanced country which is quite different from Afghanistan. The sooner and more you learn German language and get information about the country’s rules, way of life, education and work, the more your life will be better in German society. Though it will be difficult in the first months, you will enjoy your efforts throughout your life and will step towards progressive improvement as you have wisely invested in yourselves. Your life will both spiritually and physically improve year by year. Learning German language can help you in finding work opportunities, getting training and education chances and adapting soon to the society.